Action cameras are different than the normal cameras. They are designed in such a way that you can fit them anywhere from helmets to surfboards and cars to the bike. Though small, they are robust and easy to operate and the lens captures the high definition video. Therefore it allows you to record the activity you are part of like running, biking, swimming etc. 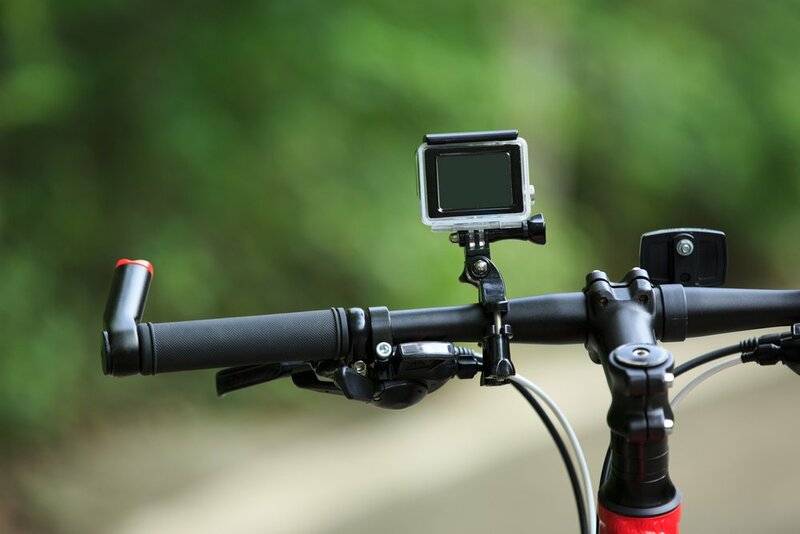 They are highly compact, and their durability has made them popular for the sports people who love to capture their adventure by attaching the camera on themselves or other equipment. It is a good value action camera if you are looking for a camera which can record high-quality video, in 4k or lower resolution with high frame rates. You can buy the camera from Gear best in just $156.99 on 18% discount. Gear best is giving free shipping for this camera, and the delivery is also fast. The camera has the powerful Ambarella A12S75 to make its omnidirectional performance better. The camera doesn’t have a screen in the font, but it has a 2-in touchscreen on its rear side. It makes it highly convenient to see what you are shooting and to select the option at the same time. It has an aluminum body, but the main disadvantage is that it’s not waterproof, so the camera is not for the water lovers. But it comes with a plastic housing which allows you to record at the depths of 30 m or outdoor in the rains. It has a 1000 mAh rechargeable Li-on battery that lasts for 50 minutes even when the camera is Wi-Fi enabled. Photos are shot in 12 MP resolutions, and it has 166 degrees super wide angle FOV. The camera supports the max external card but doesn’t support the TF64G. There are so many recording modes, and the user can select them by just a single touch. It allows the user to record a 4k video in 30fps, but you can raise it to 60fps at the 2.5k video. On the basis of performance, the camera is highly reliable, and there were no freezes and crashes. The video quality is excellent with great color reproduction and sharpness. The camera has numerous features like HD video and audio recording, Wi-Fi and remote control. The camera comes with a waterproof case and a detachable battery with 1000 mAh capacity which can be charged by AC adapter, car charger, USB charger. The charging time is approximately 3 hours which works for almost 110 minutes. Design of the camera is attractive- it looks tiny with the measurements of 1.6 X2.3X1.1 inches, and it only weighs 2.9 ounces. The camera comes with a standard tripod mount in the bottom which is rare for an action camera of this range. A touch LCD is another uncommon feature in this price range. It allows you to navigate easily without using the small buttons. The interface is intuitive and allows you to change the shooting mode easily. In the front, a second LED is also present which is monochromatic and not a touchscreen. It shows the shooting mode, recording status, and available battery life. The camera allows you to record up to 4k quality with 24 fps frame rate. The video quality is excellent with crisp details and accurate colors. By dropping the resolution to 2k, you can get 30fos frame rate which is good. The camera gives you an ultra wide field of view when you shoot at 4k. Overall the camera works well for this price range. You can grab it from gear best at $138.99. Mijia is the first action camera made by Xiaomi. The package doesn’t come with the extra accessories like mounts and waterproof housing, and this is the major con of this camera. However, you can get the majority of accessories externally. Coming to the battery, it has 1450 mAh capacity battery which is removable, and you need AC adapter to charge it. It works uninterruptedly for about 2 hours. The camera allows you to capture images in 4:3 or 16:9 aspect ratios. The camera can record the 4k videos in 30 fps, but if you are okay in recording the video with 1080p, then it allows you to record in 100/60/30 fps. The camera has an EIS feature which makes the video less shaky. The 7 glass lens with a 145-degree wide angle is capable of capturing more amazing pictures. The camera supports the time lapse and slow motion shooting modes. The camera provides the image resolution of only 8.3 MP. It has an inbuilt microphone. You can grab the action camera from gear best at a discount price of $87.88. It is very good for value money to shoot videos in 4k. It provides amazing image stabilization at this price range. You can definitely use this camera for traveling and vlogging. The major con of this camera is that it misses a protective casing because without it the lens can easily get smudged and the aluminum body can also get scratched.